A tour of the imposing castles and cathedrals that dominate many of the Province's ancient villages is an opportunity to explore its wonderful natural highlights. Bari, cultural crossroads since ancient times, is an ideal starting point, a city where two souls meet: the old town, surrounded by an imposing wall and crossed with narrow streets that lead to the discovery of its rich heritage; and the modern city, built at the beginning of the 19th Century and and having endured several changes over time. Bari’s restaurants serve ultra-local food that’s very hard to find outside the region, while the city’s main market has antique bargains and excellent produce. Explore this special city with us! 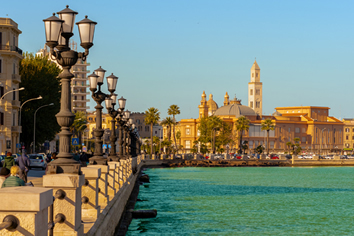 An old-time destination that overlooks the Mediterranean sea, Bari has been rediscovered in the last few years and has now become an attractive city for tourists again. It’s the perfect place to spend a long weekend or just a couple of days exploring the street food, UNESCO heritage spots, beaches and local life. 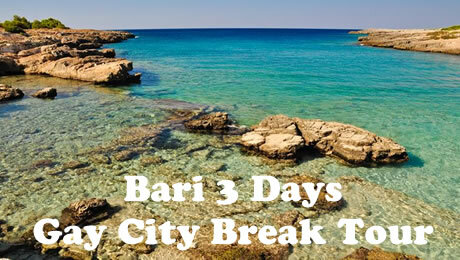 Start your visit arriving or parking at the train station and then walk to the modern trade district of Bari. Among the new Art Deco buildings you can shop in the most famous Italian retail stores, local shops and luxury boutiques. The locals are very fashionable people, especially the men, and you will understand by stopping and watching them while they are walking or when they are having an aperitif at Jérôme Cafè. One of the best shops in the district is Dante 7, Anna Dello Russo’s personal boutique. At the end of via Sparano you will end up at Piazza del Ferrarese. This square is one of the most impressive in the city. Overlooking the wall, it offers an incredible view of the sea. In certain spots the pavement is the original Via Appia Traiana. Just stop here, grab some drinks and enjoy your time. • Tour begins visiting the main attractions of the old town such as the Basilica of Saint Nicholas with its precious Crypt, the ancient Cathedral of Saint Sabinus and the millenary Swabian Castle. • Tour goes on walking along the authentic narrow streets, where old ladies still make pasta by hand, kids play outdoor and people cook in every corner. • Tour ends discovering the modern French part of the city with opera theaters, luxury shopping streets, the famous fish market on the sea-side and the lively squares where a taste of local products is not to be missed. Nightlife in Bari is vibrant as ever. During summertime the city may look empty, In fact, in the summer people move to nearby cities close to the sea. But during other seasons Bari has plenty of fun bars and clubs. There are some big gay monthly parties in the main dance clubs and weekly gay nights in the city. But if you are not up for dancing, just go to one of the many bars in the main squares to have a drink with the locals. 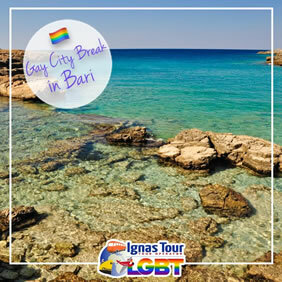 Bari is not famous for gay-only clubs but it’s easy to find saunas and cruising spots all around the city. Gay beaches are located between Polignano a Mare and Capitolo. Day 3 - Bari & Good Bye! Welcome to the Hotel Oriente, liberty-style 4 star hotel in Bari in the heart of the city overlooking the mesmerising Mediterranean Sea and just moments away from the Porta d'Oriente Hotels and the famed Petruzzelli Theatre. Having undergone massive refurbishment, the high quality Hotel Oriente has now reopened to offer first class accommodation unlike any other in the southern Italian city of Bari. The Hotel Oriente 4 star hotel in Bari occupies the Palazzo Marroccoli in the historical city centre - a classic Liberty-style building constructed in 1928. This distinctive and palatial building is a truly classical representation of the architectural style of the time and indeed, the grandeur and panache of Europe in the 1920’s. The hotel provides a bar serving snacks and drinks, and a rooftop terrace with panoramic views over Bari. Hotel Adria offers accommodation with free Wi-Fi in Bari’s centre, just 200 m from Bari Train Station. 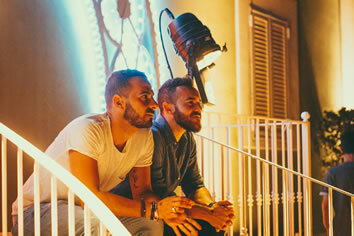 It features a fitness area and a restaurant serving Puglia specialities. Adria Hotel is 70 m from Corso Cavour, one of the main shopping streets in Bari. The historic centre and St Nicholas Cathedral can be reached on foot in 15 minutes. The air-conditioned rooms have tea and coffee making facilities and an LCD TV with satellite channels. Some also have a balcony. Both Wi-Fi and wired internet are available free of charge, simply ask for a username and password at reception. Guests can relax on the top-floor terrace with sun loungers or make use of the computer available at the reception. Staff are available 24 hours a day.